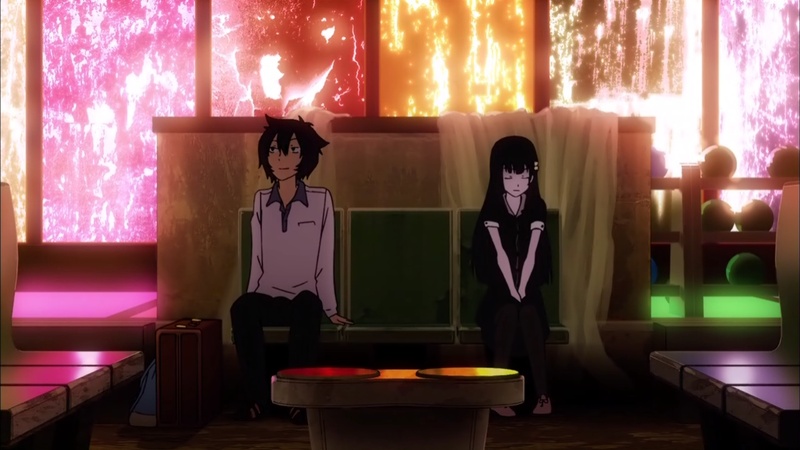 I Blog Anime: [Ended] Sankarea: The...End? Was it just me or did everybody else feel the story ended a bit too abruptly? I was fully expecting another episode or at least another scene after the final scene of the final episode. But no, there isn't such a thing. It just ended there. That was just extremely unsatisfying. Back to the story itself, it's about someone who's obsessed with zombies, in a strange way: he wanted to have a romantic experience with a zombie. How he find zombies attractive, I'm yet to understand. While the story is rather compact, it feels a bit disorganized. It shifts focal point from zombie to Rea then back to zombie. In the end, they managed only have a partial closure to one of the thread and left rest of them terminated in a very cryptic manner. With no announcement of follow-up season, this is a highly undesirable ending. This, in my opinion, is another otherwise good series that is ruined by a bad ending. Recommendation: While the ending is rather weak, the rest of the story is rather interesting. I would either wait to see whether there's a second season or just read the manga.